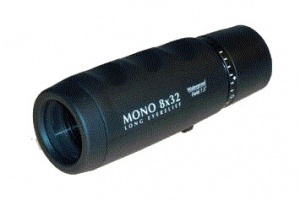 This high quality fully multi-coated monocular features a nitrogen gas filled waterproof construction and thick rubber covering with finger grooves for easy one hand operation making it an excellent all-purpose 'take-anywhere' field glass. Finished in black, this model is also fitted with a 4 stage alloy twist-type eyecup assembly to allow precise personal set-up with or without glasses. Supplied complete in a soft case with strap and cap and a 10 year guarantee.